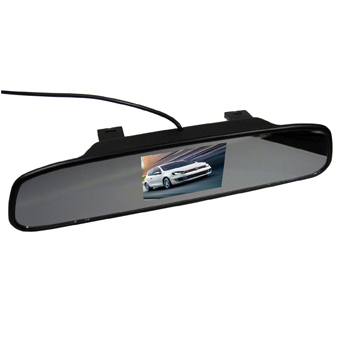 The mirror has (2) sets of video inputs for a reverse camera and an external DVD player, or for two reverse cameras. The primary video input has auto switching capability when the reverse camera activates. The SV-9151 can be used with any of the SecurView™ or PlateCam™ cameras or any other camera that uses an RCA cable video connection.